Step into the heartbeat of Japan as you set out with your expert guide to explore the bustling capital of Tokyo by private motor coach. Tucked among the towering modern office buildings emblazoned with multi-media advertising screens and banners, you’ll discover oases of calm. Explore the traditional gardens of the 20th-century Imperial Palace Plaza, former site of the Medieval Edo Castle. Retreat to Asakusa Temple, dedicated to the Buddhist Goddess of Mercy. Then, join the bustling shoppers at the Nakamise shopping arcade, explore the famed Ginza and Akihabara districts and ride to the top of Tokyo Tower for a spectacular view of the city. Depart for a full-day excursion to the UNESCO World Heritage Site of ancient Nikko, a sacred center of Shintoism known for its architectural masterpieces. 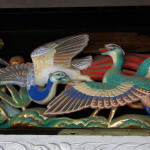 Visit the ornately decorated 17th-century Toshogu Shrine and learn about its connection to the Tokugawa Shoguns. Revel in nature’s handiwork as you explore Nikko National Park, pristine Lake Chuzenji and the Kegon Waterfall. Return to Tokyo. Set off for iconic 12,388’ high Mt. 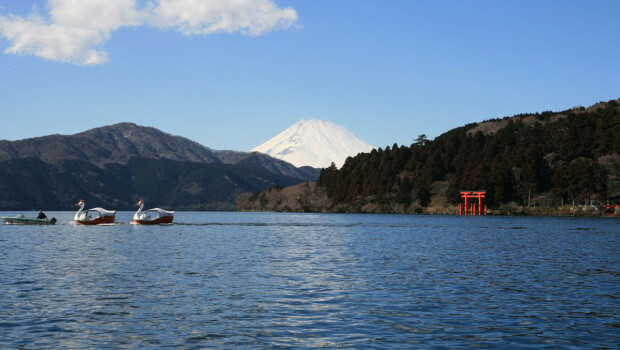 Fuji and Fuji-Hakone-Izu National Park on the shores of Lake Ashi. Visit Mt. 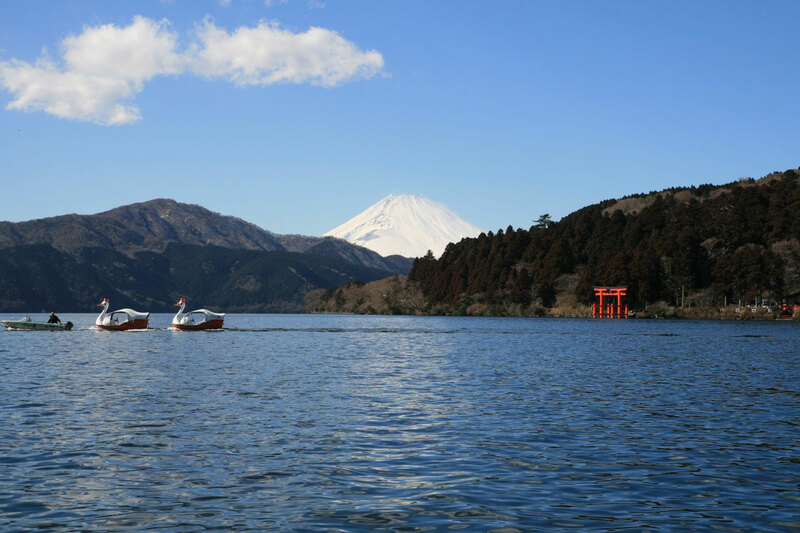 Fuji Visitor Center and enjoy a scenic cruise of the lake. Take the cable ride up neighboring Mt. Komagatake for more spectacular views of “Fuji-san” and the surrounding mountain and volcanic landscapes. Enjoy dinner and spend the night at the exclusive Gora Kadan Ryokan, a former Imperial Family’s summer home with natural open-air baths and exquisite antiques. Board the bullet train for Kyoto, the former imperial capital of Japan, arriving in time for lunch. As the center of Japanese culture for over 1,000 years, Kyoto is designated a UNESCO World Heritage Site. 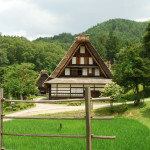 It’s one the best preserved cities in Japan with more than 200 Buddhist temples and Shinto shrines. This afternoon, tour Nijo Castle and the striking golden Kinkaku-ji Temple. Travel to ancient Nara, now celebrating its 1,300th anniversary as the first permanent capital of Japan. Visit the enormous bronze Buddha at Todai-ji Temple, the Kasuga Shrine with its red-painted corridors and Torii gates, and Horyu-ji Temple. You’ll be smitten with the fearless free-roaming deer that make Nara Park their home. Return to Kyoto late this afternoon. Continue exploring Kyoto’s culture and history today, visiting temples at Kiyomizu-Dera and Heian Jingu Shrine. Enjoy a dance performance and tea ceremony by lovely Maiko and Geisha. This afternoon, shop and watch local artisans handcraft Geisha dolls and pottery at the Kyoto Handicraft Center. 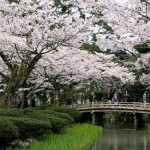 Depart Kyoto for Kansai International Airport and your return flight home.